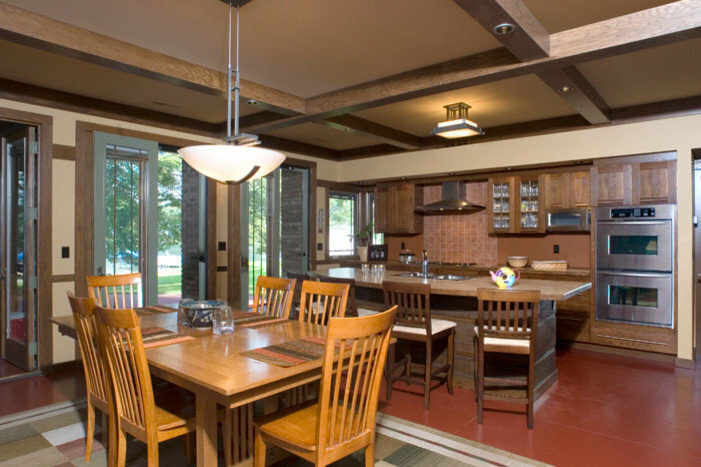 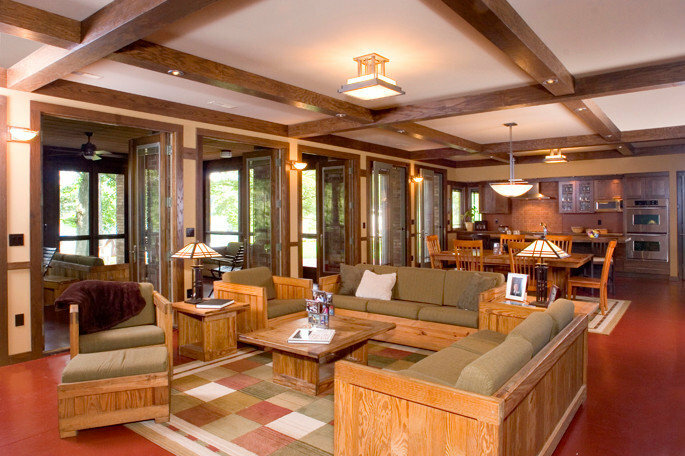 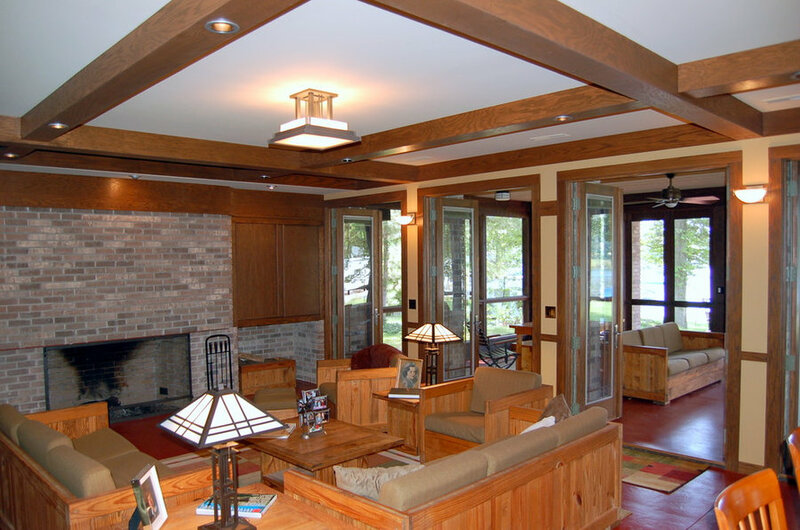 A Chicago family desired a fresh start with their southwest Michigan lakefront summer home. 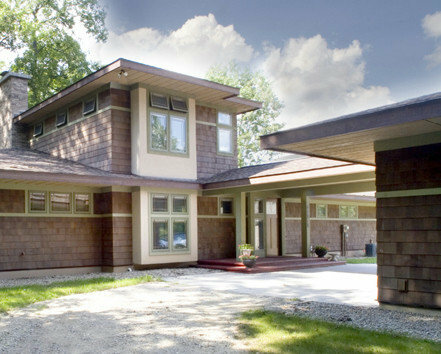 The original well-used but tired cottage was replaced by a new structure built in the spirit of the Prairie houses of Oak Park, near downtown Chicago. 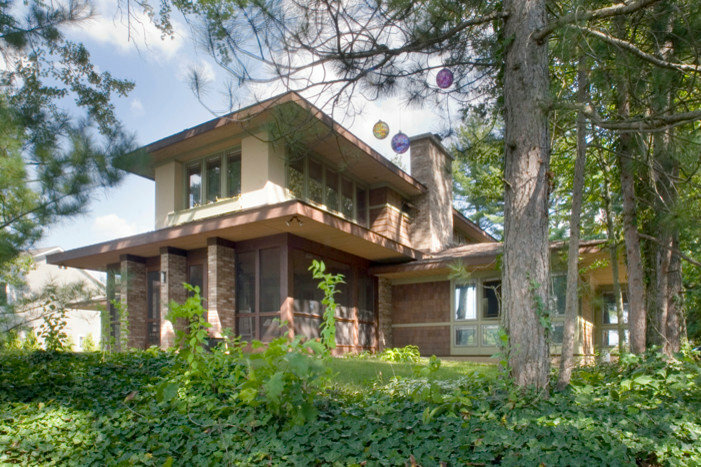 A central living/dining/kitchen space was flanked by family suites on both ends of the house and a partial second floor housing a third family bedroom/sleeping porch area, giving both grandparents and children's families privacy when needed, while sharing core living and entertainment spaces together.